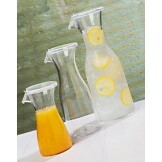 We carry a wide variety of reusable plastic drinkware, Acrylic Drinkware, plastic & acrylic tumbler drinkware. 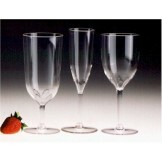 Buy quality plastic drinkware and glass breakage is gone forever along with frequent replacement costs and high potential liability that come with glassware. 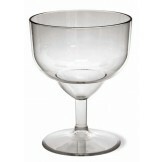 e-mail us at info@kanokorn.com to request samples of our plastic glasses. Please include product sample desired, your name, address and phone. 9 oz. 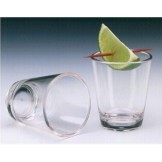 L7 Rocks Plastic Drinking Glasses - L7 plastic drinkware has the look and feel of glass b..
12 oz. 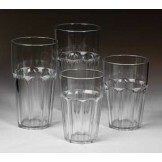 L7 Rocks Plastic Drinking Glasses - L7 plastic drinkware has the look and feel of glass ..
14 oz. 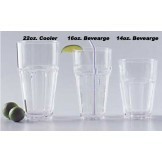 L7 Rocks Plastic Drinking Glasses - L7 plastic drinkware has the look and feel of g..
16 oz. 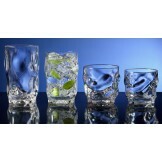 L7 Rocks Plastic Drinking Glasses - L7 plastic glassware has the look and feel of g..
Elite 10 oz. Highball (36 per Case) Plastic Drinkware - Plastic Drinking Glasses - Commerc..
Elite 12 oz. 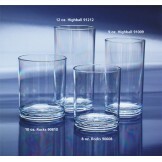 Highball (36 per Case) Plastic Drinkware - Plastic Glasses - Commercial Dishw..
Elite 14 oz. Beverage (36 per Case) Plastic Drinkware - Plastic Glasses - Commercial Dishw..
Elite 16 oz. Beverage (36 per Case) Plastic Drinkware - Plastic Glasses - Commercial ..
Elite 12 oz. Cooler (36 per Case) Plastic Drinkware - Plastic Glasses - Commercial Dishwas..
Elite 51/2 oz. Rocks (36 per Case) Plastic Drinkware - Plastic Glasses - Commercial Dishwa..
Elite 7 oz. Rocks (36 per Case) Plastic Drinkware - Plastic Glasses - Commercial Dishwashe..
Elite 9 oz. Rocks (36 per Case) Plastic Drinkware - Plastic Glasses - Commercial Dishwashe..
Elite 12 oz. Double Rocks (36 per Case) Plastic Drinkware - Plastic Glasses - Commercial D..
Textured 5 oz. Tumbler (72/Case) Plastic Drinking Glasses - Textured Tumbler plastic drinkware ..
Textured 8 oz. Tumbler (72/Case) Plastic Drinking Glasses - Textured Tumbler plastic drinkware ..
Textured 9 oz. Tumbler (72/Case) Plastic Drinking Glasses - Textured Tumbler plastic drinkware ..
Textured 9.5 oz. Tumbler (72/Case) Plastic Drinking Glasses - Textured Tumbler plastic drinkwar..
Textured 10 oz. Tumbler (72/Case) Plastic Drinking Glasses - Textured Tumbler plastic drinkware..
Textured 12 oz. Tumbler (72/Case) Plastic Drinking Glasses - Textured Tumbler plastic drinkware..
Textured 16 oz. Tumbler (72/Case) Plastic Drinking Glasses - Textured Tumbler plastic drinkware..
Textured 20 oz. Tumbler (72/Case) Plastic Drinking Glasses - Textured Tumbler plastic drinkware..
Textured 24 oz. 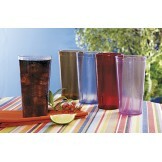 Tumbler (72/Case) Plastic Drinking Glasses - Textured Tumbler plastic drinkware..
Textured 32 oz. Tumbler (48/Case) Plastic Drinking Glasses - Textured Tumbler plastic drinkware..